October was a busy month at the library for events and clubs! We started the month with our “Monday Meditation” class, which meets the first Monday of every month at 6:30 p.m. Participants were guided through relaxing meditation exercises. Next, we had “Paint Like an Artist”! We explored the basic techniques used when painting with acrylics. Couldn’t make this class? We have “Working with Colored Pencils”, November 11th, at 1:00 p.m. In this fun and exciting workshop (geared for artists of all ages) participants will learn the basics of colored pencils. “Bow Like a Pro” was on October 11th, and participants had a great time learning how to make that perfect holiday bow! Another “Bow Like a Pro” class will be offered Saturday, December 8th at 12:00 p.m. Sign up here. Take a break from Christmas shopping to learn how to create the perfect bow for your gifts! “Introduction to ASL: 50 School Signs” was a big hit last month! Students dived into 50 signs are encountered at school. This month on November 29th, we will have “ASL in the Restaurant Environment“. Keep building your skills or gain new ones! Our friends at Sylvan hosted a seminar series on a Parent’s Guide to College Test Prep, and then offered a free Diagnostic Practice ACT test on October 20th. They will be back January 19th for another free Diagnostic Practice test. Keep checking our calendar for more information! Our Crochet Club really took off in October! Every Sunday, Crochet Club meets from 1:15 to 3:00 p.m. in our upstairs Conference Room to practice, work on group projects, or work on individual projects. Our group leader, Kelly, welcomes crocheters of all skill level- beginners are welcome! No need to sign up, just head upstairs on Sundays and meet the club! Towards the end of the month, we had more Halloween-themed events! Did you get a chance to attend our Trick or Treat event? We had more than 250 children come to the event! Our Community Room was transformed into the board game, Candyland! The lobby and Children’s Area had games, crafts, and a great photo wall! It was a great time for all! More photos can be found through the O’Fallon Weekly! 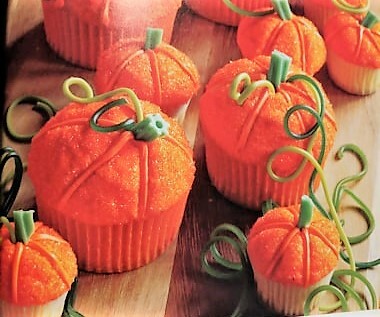 We rounded up the Halloween season with “Holiday Desserts Without Guilt” with Carol’s Glory Kitchen and “Halloween Inspired Cupcake Decorating” with Jacklyn. Participants learned how to make healthy holiday desserts with Carol, and made adorable pumpkin cupcakes with Jacklyn. To view our calendar, click here. To stay up to date on all of our events, schedule changes, and other announcements, please visit our Facebook.